PRE-REGISTRATION FOR THIS PROGRAM IS NOW CLOSED. WALK-IN REGISTRATIONS WILL BE ACCEPTED ONSITE. 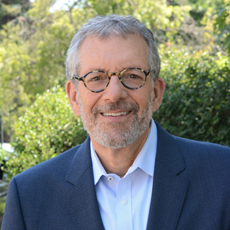 Lessons Learned and Best Practices for Coherent Family Giving"
Philanthropy expert and nationally-syndicated columnist Bruce DeBoskey, J.D., will lead a thought-provoking discussion about strategic philanthropy for families who want to have real impact with their giving. A dynamic and experienced presenter, he will explain techniques for engaging the rising generations in family philanthropy, setting a new philanthropic table, impact investing with philanthropic capital, taking risks, rejecting the “peanut butter” approach to giving, and achieving coherent philanthropy by answering these important questions: What difference do we want to make in the world? And what difference do we want to make for ourselves? Bruce DeBoskey, J.D., is a Colorado-based Philanthropic Strategist with The DeBoskey Group, a consulting practice he founded nine years ago to help families, family offices, businesses and foundations across the country design and implement thoughtful philanthropic strategies to achieve meaningful impact for themselves and their communities. Bruce writes an award-winning, nationally-syndicated column “On Philanthropy” appearing initially in the Denver Post and then distributed by The Chicago Tribune to over 600 newspapers and other news outlets across the U.S. and abroad. He is the Dean of Philanthropy for the Purposeful Planning Institute and a Certified 21/64 Trainer. Bruce served for nearly nine years as the Anti-Defamation League’s Mountain States Regional Director, and before that, as a Colorado civil trial lawyer. Bruce is the recipient of Community Shares of Colorado’s Community Leader of the Year Award, Urban Peak’s Maverick Thinker Award, the Public Justice Foundation’s Trial Lawyer of the Year Award, and the Colorado Nonprofit Association’s Excellence in Media Award. He holds a B.A. from Indiana University and a J.D. from the Georgetown University Law Center. One Education Credit for CLE (PA Only), Insurance (PA Only), CFP, CPA (PA Only), PACE and CTFA will be offered.